Sebastian Gunawan is an Indonesian born fashion designer. He has built an enviable reputation for his sophisticated evening gowns, which are noted for their grand designs and often encrusted with beads, crystals, sequins and semiprecious stones. Consistently regarded as one of the world’s top designers, he has won numerous awards including “International Apparel Federation World Young Designer Award”, Barcelona, Spain 2004 and “Best Designer Award” by Indonesian Tatler, 2005. Not surprisingly, he has dressed the likes of Giuliana Rancic, Zulay Henao, Kat Graham, Paula Abdul, Brandy, Victoria Summer, Taryn Manning, Sarah Hyland, Lea Michelle and Dominique Rose. 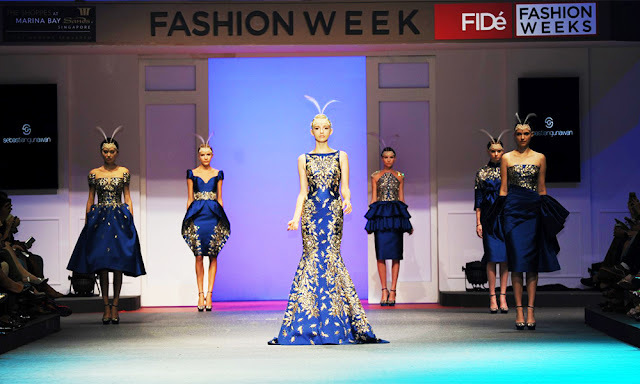 Sebastian Gunawan is joining the line-up for Telstra Perth Fashion Festival’s Opening Night thanks to FIDé Fashion Weeks in partnership with the Asian Couture Federation, supported by Singapore Airlines, Crown Perth and Hawaiian.